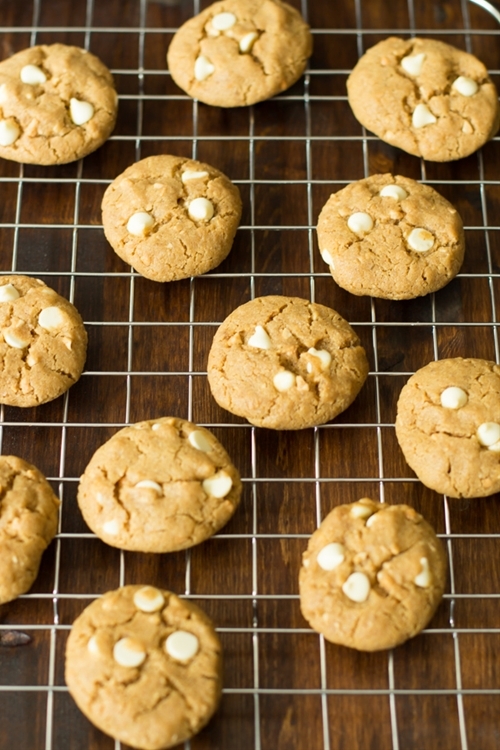 These Peanut Butter White Chocolate Chip Cookies don’t require flour! They are gluten-free, chewy and soft! You probably have all the ingredients in stock!